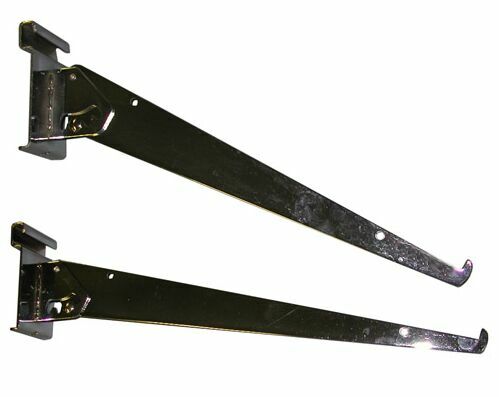 Adjustable tilt straight 12" long bracket with lip. Accepts shelf rests and bumpers for glass shelves. Works well with wood, bullnose plastic shelves or glass shelves. Price: $3.25ea Item #: GWKBA12 Color: chrome. Standard Pack: 24pcs (any quantity can be ordered, $3 broken box fee will apply).